Knit cowl, knit accessories, chunky knit cowl lined with faux lamb. The thick wool outer shell and the very soft faux lamb on the inside will keep you warm in the harshest of conditions. 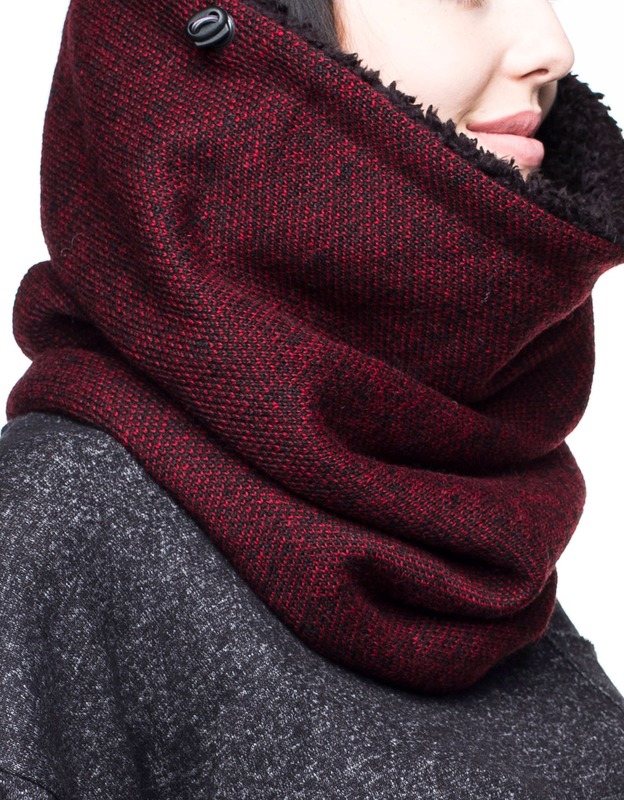 Keep your loved one or yourself extra snug this winter with a cowl scarf that is designed for maximum warmth and comfort. 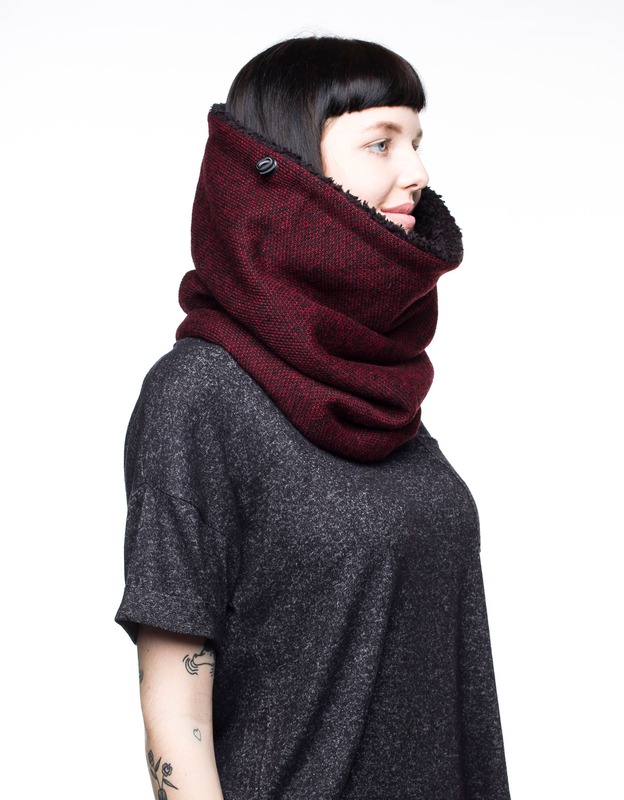 Outer shell: Wool blend knit in lovely shade of red that is nice and thick, but flexible enough to sit comfortably round the neck. Inner lining: 2 different materials. 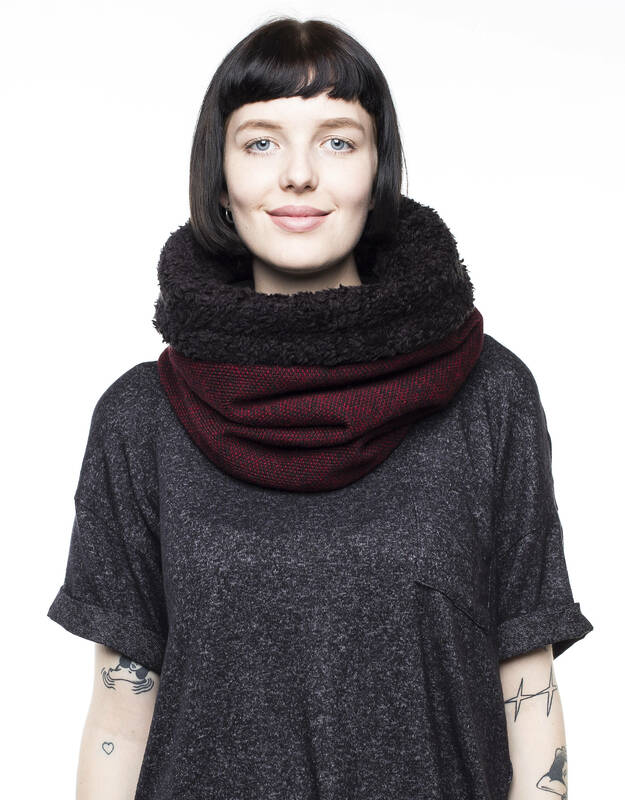 Top half: Soft and very warm black faux lamb that looks great when folded over. 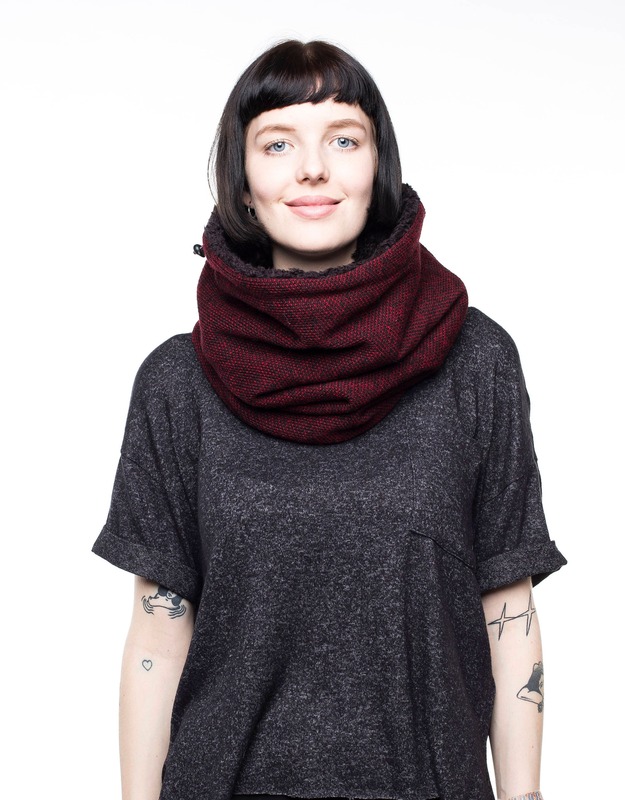 Bottom half: Soft and thick black cotton for extra comfort. Can be worn upwards when you fancy a change or in warmer weather. It has recently become cold enough in Spain to wear this. Very well made, windproof and warm. Couldn't be happier! I LOVE THE QUALITY AND THE SHIPPING IS FAST AND THE OWNER IS SO SWEET AND NICE.. WITH A CUTE LETTER AND MESSAGE.. 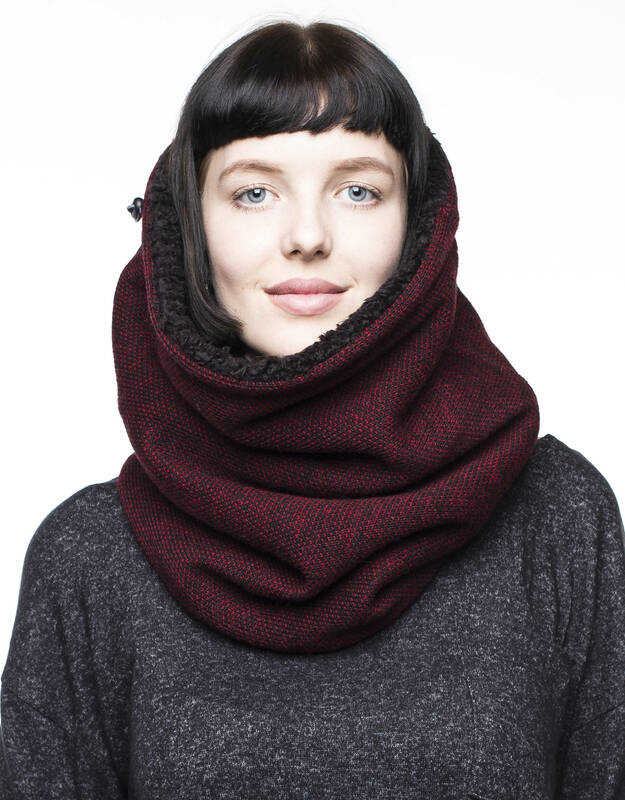 I HIGHLY RECOMMEND THE PRODUCT I FEEL SO WARM AND COZY WITH THE COWL.. SO LOVE IT.. MORE POWER TO YOU SIR.. 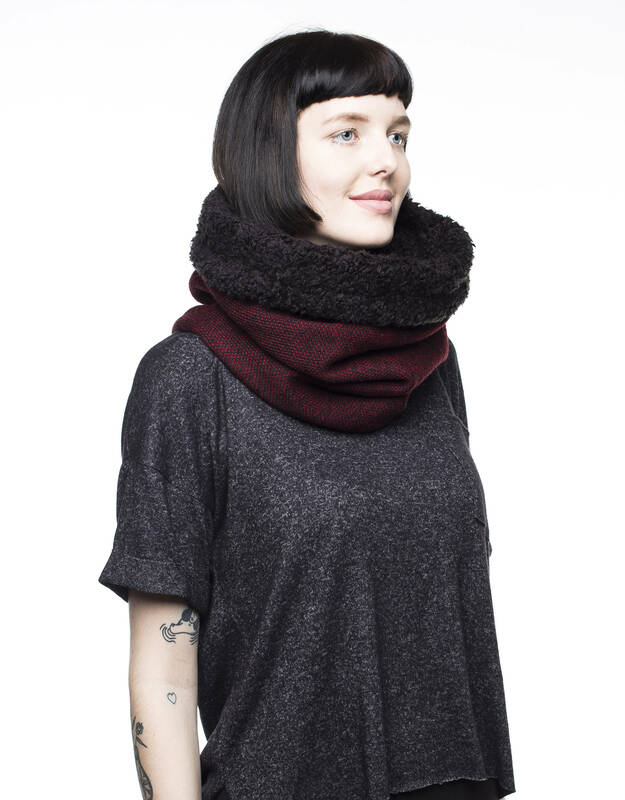 The scarf is very warm, I love it and wear almost every day :) I can only offer this shop!